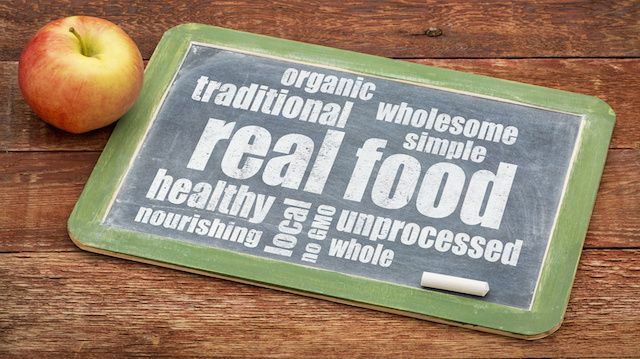 There is no shortage of organic farmers and proponents who speak out against GMO foods. However, when a former GMO engineer with 30 years of experience starts talking in support of organic farming that alone should speak volumes. Born in France, Thierry Vrain, obtained a degree in plant physiology from the Université de Caen and a doctoral degree from North Carolina State University. He taught plant physiology in Montreal, then went on to spend 30 years working as a research scientist for the Canadian government. His research included subjects such as genetically modified potatoes. He also served as the biotechnology department director at Pacific Agri-Food Research Centre located in Summerland, British Columbia (BC). Following his 35 years of working in research and teaching, Vrain retired and went to live on a small farm in Courtenay, BC. But his location wasn’t the only thing that changed. Vrain is now a gardener and passionate speaker regarding organic gardening. He is also a teacher and gives presentations that include topics from soil health to GMOs. Vrain explains that his frustration with money and the bottom line being more important than safety is what ultimately led to his change of heart. According to Vrain, “There are now quite a number of research publications, in peer reviewed journals, showing concerns from feeding GM corn and soy to rats. Those studies are ignored and shouldn’t be. Federal agencies should repeat the studies and must test these crops for safety. “Research scientists from the US Food and Drug Administration (FDA) made it clear in the early 1990s that there could be indirect effects from eating GM crops, such as toxins, allergens, and nutritional deficiencies. Those warnings were ignored. Now a good number of publications are confirming the predictions of the FDA scientists. It troubles me that money and the bottom line are at the root of the use of the technology. “When I started 30 years ago, I was given a lab, a technical assistant, and a small budget and basically the game was play in the lab and make sure you publish, and the more you publish, the better. So it was called ‘publish or perish.’ But something happened 25 years ago; the game changed. When I started corporate sponsors were not allowed. I could not go to Monsanto and say, ‘Are you interested in me doing some work in my lab and for a small grant I could do research for you.’ But 25 years ago, it became allowed and then it became very strongly encouraged to seek corporate funding. “I have some difficulties with how the controversy is handled. If you aren’t a scientist, you don’t understand the science. If you are a scientist and discover things that are of concern, then you are accused of doing ‘pseudoscience’ and often viciously attacked by the industry and academics on the payroll. This has happened many times, for example to Arpad Pusztai in England and then Ignacio Chapela, who discovered GMO contamination in native corn in Mexico. He was attacked and almost fired from his post at the University of California. A year later his findings were confirmed,” said Vrain. Back in the 1980s, genetic engineering started out based on a theory that one protein would be produced from one gene. Vrain says the human genome project showed that theory to be wrong and that genes can create more than just one protein. “The insertion of genes in the genome through genetic engineering interrupts the coding sequence of the DNA, creating truncated, rogue proteins, which can cause unintended effects. It’s an invasive technology,” said Vrain. “There are a good number of studies now showing that engineered plants have proteins that are quite different than the proteins that are expected, so-called rogue proteins. These proteins are truncated; they are different. They might function as a protein to kill caterpillars, for example. Apparently, biotech companies view the rogue proteins as “background noise” and consequently they ignore them. Vrain believes they should not be ignored, but rather we should verify that they do not cause negative effects if consumed. With regards to the GMO apple that is the topic of much discussion due to the possibility of it being commercialized, Vrain explained, “There’s no research or toxicity tests to show that it’s not toxic. I question whether it’s useful. It’s not different from what other biotech companies do, which is to put out a product and make money. “A key point is that the concern about genetic engineering should be about the proteins. Many plants and animals are not edible because their proteins are toxic or poisonous. To test for the safety of Bt crops, scientists have mostly fed the pure protein to rats, and there may be no problem. But it’s different if you feed rats the whole GM plant because they are getting these rogue proteins that could cause harm,” states Vrain. When asked about the scientists that publicly support genetically engineered foods, Vrain said, “There are a lot of people on the payroll and a lot of grant money flowing from biotech companies to academia. I used to be employed by Agriculture Canada. I did my job and didn’t question things too much. “When I hear we need genetic engineering to feed the world, I cringe. It turns out that there is no increase in yield, no decrease use of pesticides, and the process is of highly questionable safety. Even if genetic engineering was perfectly safe, I still question it because of genetic pollution. Organic crops and foods are becoming contaminated. In explaining his switch from GMO to organic agriculture, Vrain stated, “I used to be a soil biologist and focused on fertilizers and pesticides. When I retired, I started to look around and, quite frankly, the organic side of soil biology made more sense than what I had taught. Next articleIs Ebola a Possible Sexually Transmitted Disease? Hey Buddy!, I found this information for you: "Why a Former GMO Engineer Switched Sides to Organic". Here is the website link: https://www.thealternativedaily.com/former-gmo-engineer-organic/. Thank you.